The County Championship starts tomorrow (Friday). 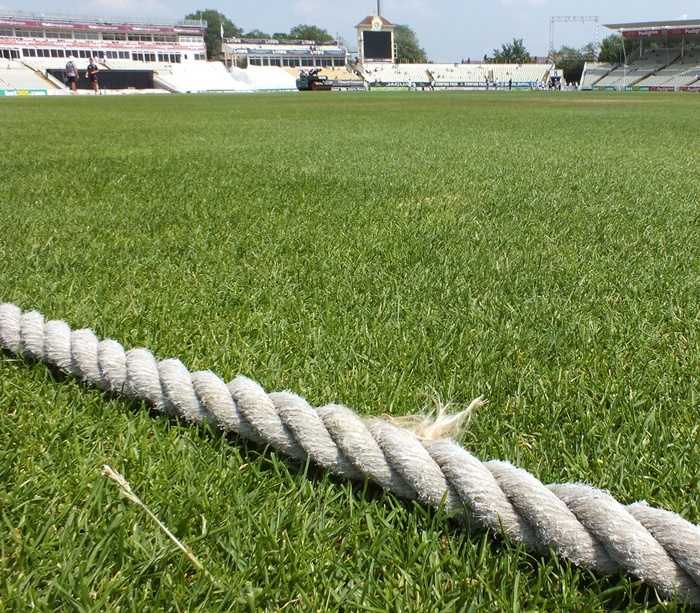 It begins in classic county cricket style with most, but not all, of the counties in action. Excited to see how Surrey start their defence? Well, you’ll just have to wait until next week. The Tour de France makes a really big deal of starting. They call it the Grand Départ. County cricket’s entrance is moins grand. It’s more like a cheap meal out where you can’t be bothered waiting for everyone to turn up. Just 12 of the 18 counties are in action, because… why? Have they suffered a fixture pile-up already? The answer to that is probably yes. We’ve a feeling this entire week comprises preponed fixtures. Innovative. At the same time, it’s a very small year, because county cricket is going to be trampled into invisibility by the World Cup and the Ashes. Awake from your slumbers dibbly-dobbly seamers of this green and verdant land! Go forth and nibble it about a bit! How has Virat Kohli been dealing with his recent inability to lay bat on ball? I don’t like the split infinitive in the headline, KC. I’m not totally agin split infinitives, but sometimes they grate and could easily be replaced by a more elegant construction. Even if you don’t like the soundbites, the reggae links are worth a click. That same year, I stuck the boot in to the then despised Tory Chancellor, now seen as cricket-loving, voice of reason, Tory grandee of Nottinghamshire; Ken Clarke. Well, that’s a better Leics score than I expected to wake up to. Durham started well too, I see, Balladeer. Wonder where they got that Raine fellow from? I’d feel guilty, but I think he left of his own accord out of what was essentially homesickness. Eckersley’s up there too? Well, good luck to him. I always liked him, don’t think Leics should have released him. Anyone doing fantasy cricket this year? I hastily picked a team on the Telegraph game and hardly any of my guys are playing this week. The Overton window has moved. Why are we goading Tlaloc?